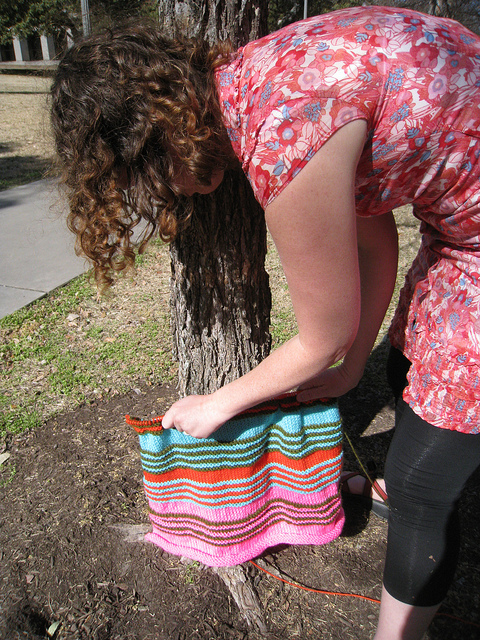 Lela and I have been hard at work on our tree sweater for the Knitted Wonderland art installation. 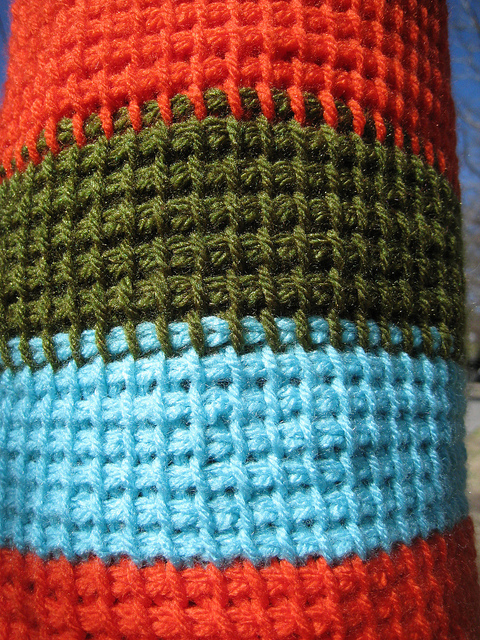 I finished the top half of the tree trunk, creating random strips in Tunisian crochet. 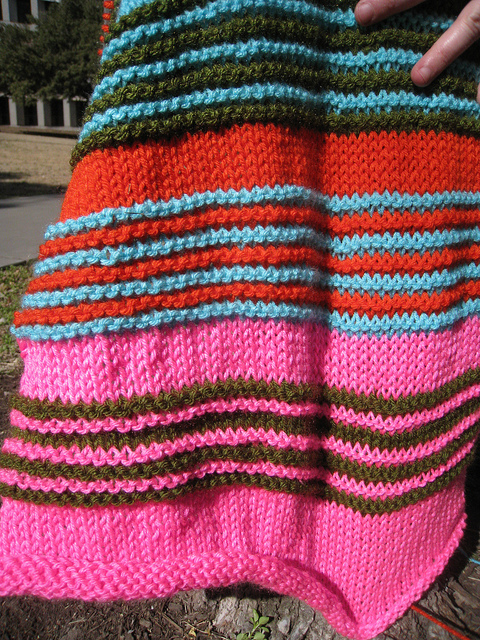 Lela is being more systematic about her half and is knitting nice color coordinated pinstripes. We met up last weekend for an initial fitting and it looks great so far! 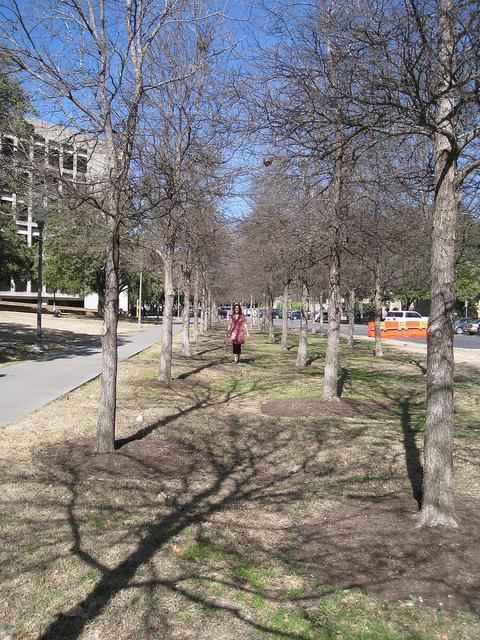 ‘This is the museum’s contribution for “Explore UT,” the University of Texas’ annual open house. 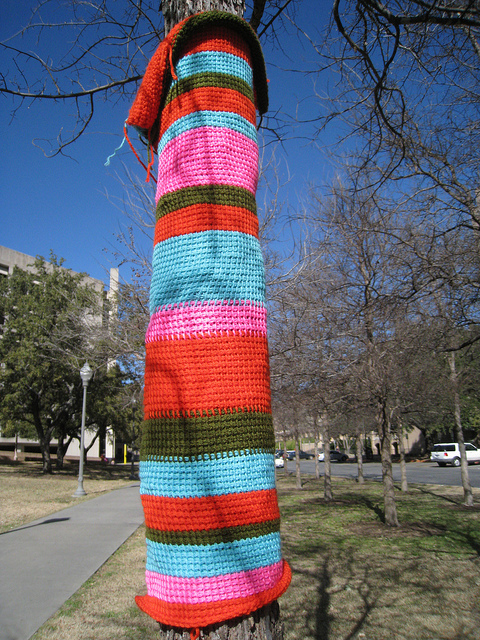 The “Knitted Wonderland” project is a collaboration with Magda Sayeg, the Austin knitter behind recent instances of “knit graffiti” such as the Lamar Boulevard underpass, and similar commissions all over the world.